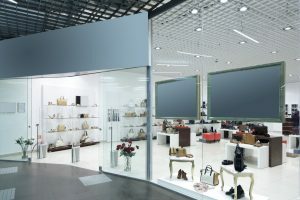 Current Commercial Lighting Design Trends - Loftus Electric, Inc.
Commercial lighting design trends continue moving towards improving safety for tenants, aesthetics, and function to ensure overall comfort, while also providing cost savings. At Loftus Electric, we understand how important it is for your commercial space to keep up with the latest lighting design trends. That is why we offer a wide range of commercial electrical services for lighting installation. As the technology continues to advance to include a wide range of capabilities, a growing number of businesses are getting LED retrofitting in their office spaces. Switching to LED lighting offers a number of benefits, such as enhance lighting quality, improved energy efficiency, smart lighting capabilities, and lower maintenance costs. LED retrofitting in commercial buildings can also allow for flexibility in light color and brightness levels, making it easier to mimic natural light and promote productivity. Using more natural light in a commercial space can not only help lessen a building’s energy load but also provide benefits to employees, including improved performance, better sleep, higher employee satisfaction, and increased sales. LED lighting systems on the market today can monitor levels of natural light in order to adjust their output to the optimal levels. As smart lighting technology continues to advance year after year, it continues to gain popularity thanks to its many benefits. Since smart lighting works by embedding sensor controls into each fixture, this lighting trend can help commercial building owners cut down on costs and meet energy efficiency codes. Through measuring temperatures, room occupancy, and energy loads, smart systems can adjust to harvest daylight or by turning off in an empty room to keep the building’s energy use within the set parameters.